Upcoming RC Auction in Burlington, Mass. 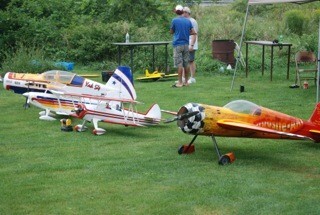 107th RC Flyers Club "Grand Old Auction"
RC planes and equipment. Raffles, 50/50. Food, drinks available for purchase. Commission: 10 percent of final auctioned sell price paid to 107th RC Flyers. The Rochester Modelers Club generally meets the first Sunday of every month of the flying season at 160 Rochester Neck Road in Rochester, NH. Start time is 12:00 noon. At times there are other meets as well. Non-members are welcome to attend meetings. Just send us an email and we'll provide you with all the meeting details.